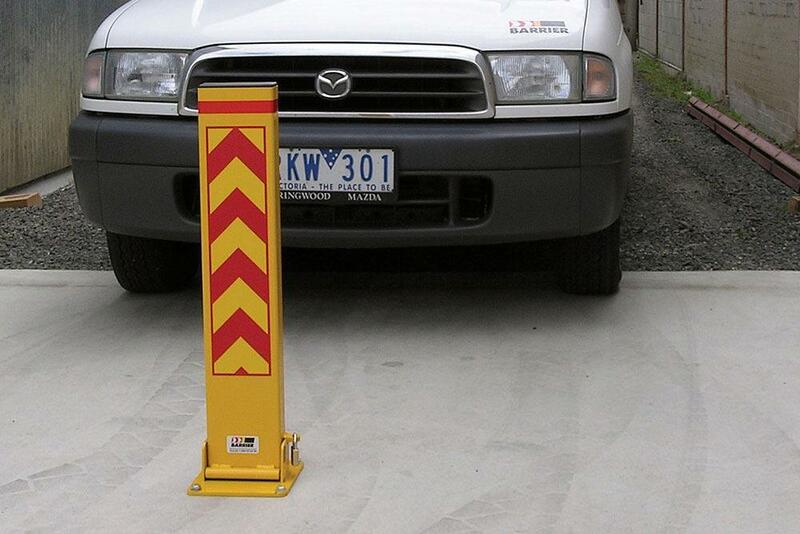 If you are looking for parking space protection, our Lok-Up No Parking barriers are designed for this purpose. 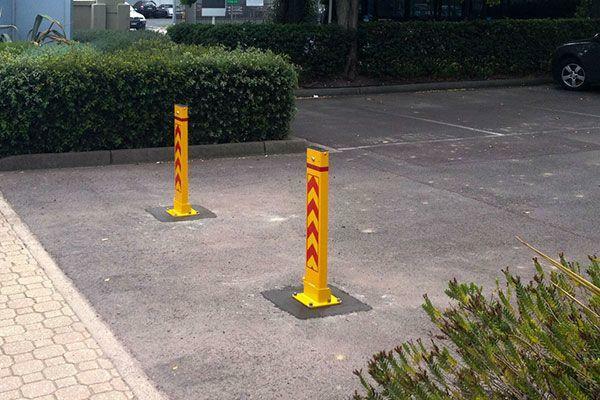 Fold-Down bollards are a deterrent only and not recommended for that application. 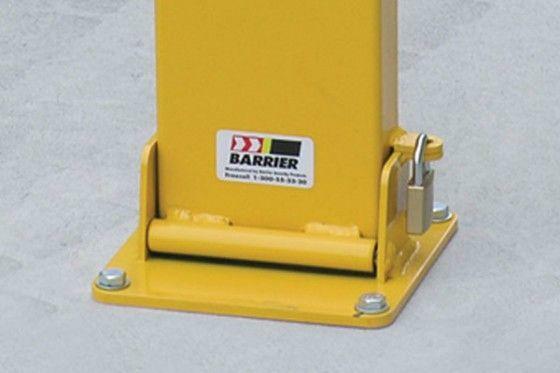 It can be supplied in either hot dip galvanised or high visibility safety yellow powder coat. Galvanised model supplied with loose stickers. 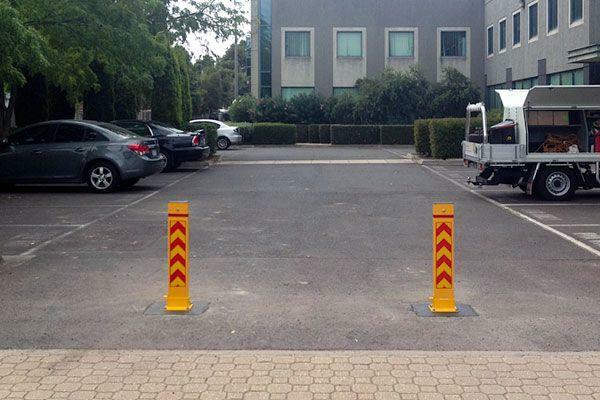 Replacement or additional sign face ordered separately. 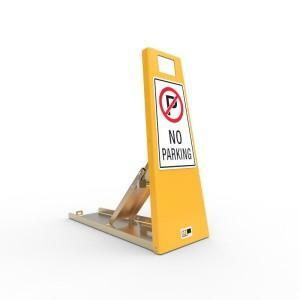 Description: Fold down access barrier. 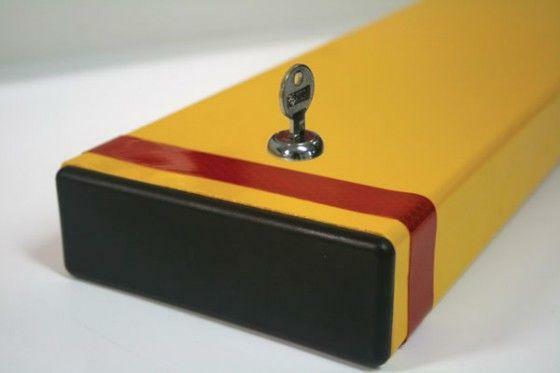 Height: 800mm open. 80mm closed. 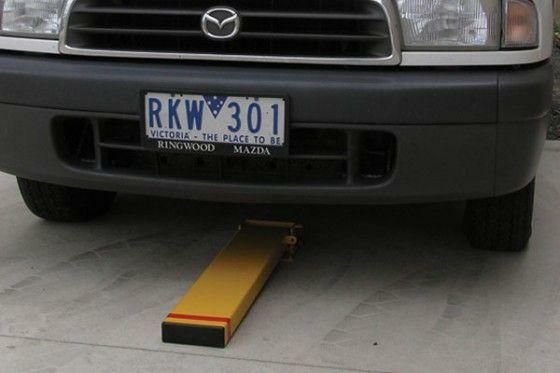 Weight: 5kgs operating. 12kgs shipping.